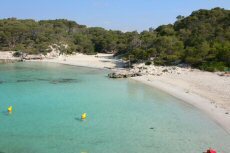 La Cala en Turqueta is situated at the south of the island. The beach is situated in a desertic aera. There is a free parking and you will have to walk for 5 minutes.